D&H started out as in 1919 as a tire retreading company named Economy Tire and Rubber, the company rebranded itself early on as D&H Distributing in 1929. 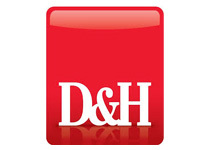 D&H is one of the market leading distributors of end-to-end IT and consumer electronics products and solutions. The company facilitates computer resellers, integrators, retailers, etailers and consumer electronics dealers. The majority of D&H’s SMB (small to mid-size business) reseller customer base sells to regional offices in vertical markets such as healthcare, education, real estate, advertising, and finance. D&H’s IT solutions and product range provides clients and customers with servers, storage and networking solutions; plus mobility, consumer electronics, home entertainment/networking/automation, small office/home office, video surveillance, digital imaging and video gaming products. The 100 year old distribution company reported almost $3.5 billion in sales in 2017 and ranks #123 on Forbes listing of America’s largest privately owned companies in 2017. The company has 5 distribution centers strategically placed around North America to efficiently facilitate customers in the least possible time.